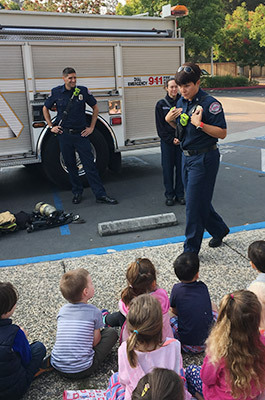 The Children’s Center offers emergency preparedness training every two years to our families. We have an extensive plan in place which would provide care and comfort to all our children for up to three days in the event of an emergency. We have worked in conjunction with the Red Cross the Police Department in order to keep current with evacuation procedures and facility preparedness. All our staff are qualified and trained in Child CPR and First Aid. We hold monthly fire drills, as well as earthquake and lockdown drills throughout the year. For more information, please download the Disaster Information Booklet for Parents.